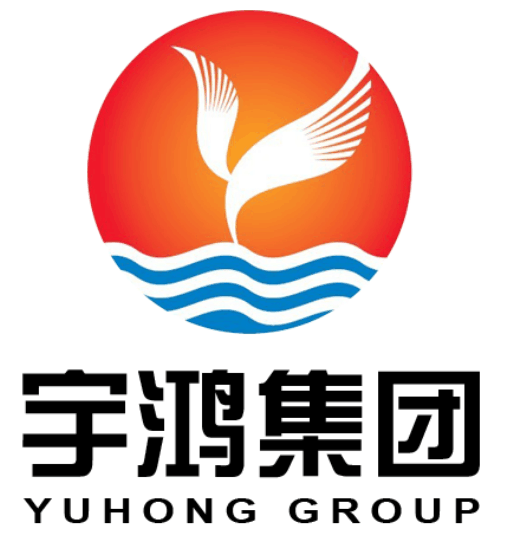 YUHONG GROUP deal with Austenitic Stainless Steel, Nickel Alloy Steel (Hastelloy , Monel, Inconel, Incoloy) seamless and welded pipe and tube already more than 25 years, every year sell more than 80000 tons of steel pipe and tube. Our client already cover more than 45 countries, Like Italy, UK, Gernmany, USA, Canada, Chile, Colombia, Saudi Arabia, Russia, Korea, Singapore, Austrial, Poland, France , .... And our group branch company and factory have been already approved by : ABS, DNV, GL, BV, PED 97/23/EC, AD2000-WO, GOST9941-81, CCS, TS, CNNC, ISO9001-2008, ISO 14001-2004. Common Trade Names: Inconel 625, Alloy 625, Nickel 625, Chornin 625, Altemp 625, Nickelvac 625, Haynes 625, Nicrofer® 6020. INCONEL nickel -chromium alloy 625 (UNS N06625/W.Nr. 2.4856) is used for its high strength, excellent fabricability (including joining), and outstanding corrosion resistance. Service temperatures range from cryogenic to 1800°F (982°C). Strength of INCONEL alloy 625 is derived from the stiffening effect of molybdenum and niobium on its nickel-chromium matrix; thus precipitation-hardening treatments are not required. This combination of elements also is responsible for superior resistance to a wide range of corrosive environments of unusual severity as well as to high-temperature effects such as oxidation and carburization. INCONEL alloy 625 is designated as UNS N06625, Werkstoff Number 2.4856 and ISO NW6625 and is listed in NACE MR-01- 75. Rod, Bar, Wire and Forging Stock: ASTM B 446; ASME SB 446 (Rod & Bar), ASTM B 564; ASME SB 564 (Forgings); AMS 5666 (Bar, Forgings, & Rings); AMS 5837 (Wire), ISO 9723 (Rod & Bar), ISO 9724 (Wire), ISO 9725 (Forgings), VdTÜV 499 (Rod & Bar), BS 3076NA21 (Rod & Bar), EN 10095 (Rod, Bar, & Sections), DIN 17752 (Rod & Bar), ASME Code Case 1935 (Rod, Bar, & Forgings), DIN 17754 (forgings), DIN 17753 (Wire). Plate, Sheet and Strip: - ASTM B 443; ASTM SB 443 (Plate, Sheet & Strip), AMS 5599; 5869; MAM 5599 (Plate, Sheet & Strip), ISO 6208 (Plate, Sheet & Strip), VdTÜV 499 (Plate, Sheet & Strip), BS 3072NA21 (Plate & Sheet), EN 10095 (Plate, Sheet & Strip), DIN 17750 (Plate, Sheet & Strip), ASME Code Case 1935. Pipe & Tube: ASTM B 444; ASTM B 829; ASME SB444; ASME SB 829 (Seamless Pipe & Tube), ASTM B704; ASTM B 751; ASME SB 704; ASME SB 751 (Welded Tube), ASTM B705; ASTM B 775; ASME SB 705; ASME SB 775 (Welded Pipe), ISO 6207 (Tube), AMS 5581 (Seamless & Welded Tube), VdTÜV 499 (Tube), BS 3074NA21 (Seamless Pipe & Tube), DIN 17751 (Tube), ASME Code Case 1935. Other Product Forms: ASTM B 366; ASME SB 366 (Fittings), ISO 4955A (Heat Resisting Steels & Alloys), DIN 17744 (Chemical composition of all product forms). Looking for ideal Nickel Alloy Boiler Tube ASTM B444 UNS N06625 Manufacturer & supplier ? We have a wide selection at great prices to help you get creative. All the Inconel 625 Seamless Tube For Boiler are quality guaranteed. We are China Origin Factory of Nickel Alloy Seamless Tube 625 ASME SB444 For Heat Exchanger. If you have any question, please feel free to contact us.